Adovia Mineral Eye Gel is one of my Top Picks to protect and rejuvenate the delicate skin around the eyes! - Susan Said... WHAT?! 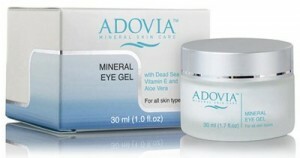 Adovia Mineral Eye Gel is one of my Top Picks to protect and rejuvenate the delicate skin around the eyes! Although outdoor summer activities are something I look forward to all year, they place quite a bit of additional stress on the skin — from exposure to punishing sun, to immersion in drying chlorine, to wind burn when boating or hiking. And, the very delicate skin around the eyes is particularly susceptible to all forms of summer damage. But, I’ve found that the power of Dead Sea minerals can dramatically help counteract that damage, leaving me with younger looking, more radiant skin. For eyes, new Adovia Mineral Eye Gel contains those essential Dead Sea minerals which minimize dark circles (personally, my worst beauty issue), remove puffiness, and leave the skin around the eyes looking refreshed. Another of the key ingredients naturally found within Dead Sea minerals is magnesium, a component in Epsom Salts. According to the Epsom Salt Council, “magnesium acts to decrease stress, reduce inflammation, regulate enzymes, and improve the use of oxygen in the body.” High praise, indeed! Plus, Adovia Mineral Eye Gel contains powerful Vitamin C, which helps the minerals and antioxidants penetrate deeply, although the gel itself is very light. I’ve been using Adovia Mineral Eye Gel twice a day, both under makeup and at night before bed. My skin is definitely healthier looking, the fine lines have been minimized, and the under eye puffiness that I frequently suffer from has been virtually eliminated! Retail $29 at Amazon. For other amazing Adovia Dead Sea products like Dead Sea Mud Shampoo and Dead Sea Salt Conditioner Duo Set and Facial Mud Mask with Dead Sea Mud, plus so much more, visit Cleopatra’s Choice. Inspiring GIVEAWAY! Win your own Lokai Bracelet! Try the GRATiEA Beautifying Nail Care Kit for a luxe at-home manicure! Bring on spring with new Organic Mojito Mint Body Bar Soap by Bare Ends! Want eye-catching lashes? Try the Whiplash Eyelash Curler for a dramatic, lush look! Oscar-worthy "ice" at prices you can afford! Separator image Posted in WOMEN'S FASHION and tagged with Adovia Dead Sea Mineral beauty products, Adovia Mineral Eye Gel, fashion beauty style giveaways 2014, skin care beauty trends 2014, Susan Conforte McNeill, Susan Said What? !, trends in womne's beauty products 2014. 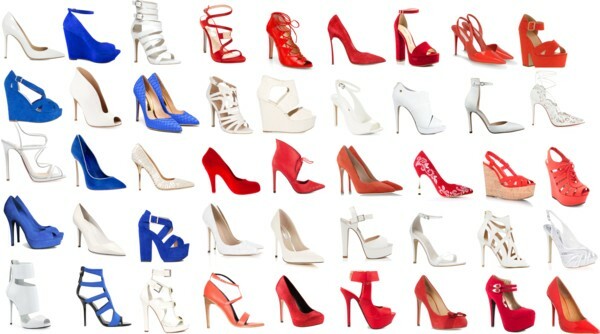 Have a happy and FASHIONABLE July 4th from Susan Said…WHAT? !